Looking for a teeth-whitening toothpaste that actually works? These bad boys get a minimum of 4 stars* on bh – so they’re kind of a #nobrainer. RELATED: bh forum: Is it safe to whiten your teeth with bicarb? 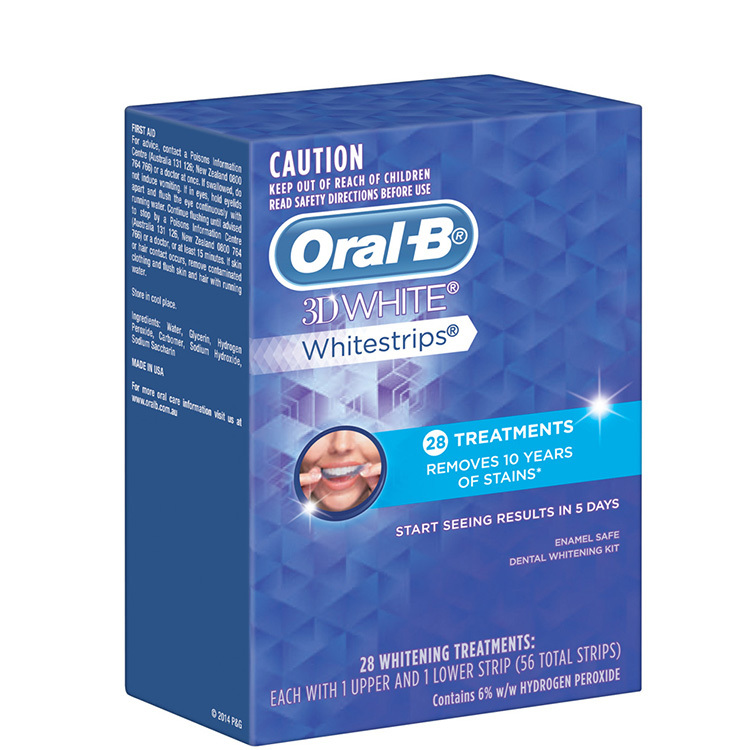 bh says: Coated with a tooth-whitening gel containing hydrogen peroxide, Oral-B 3D White Whitestrips are thin and flexible to help them conform to the shape of your teeth. Simply apply them to your teeth twice a day, for 30 minutes, to help whiten and remove stains. bh says: Colgate Optic White employs a gentle hydrogen peroxide formula to go beyond surface stain removal and deeply whiten teeth in four weeks. If you like this toothpaste, you’ll love Colgate Optic White™ Toothbrush + Built-In Whitening Pen, which is also among the top contenders! 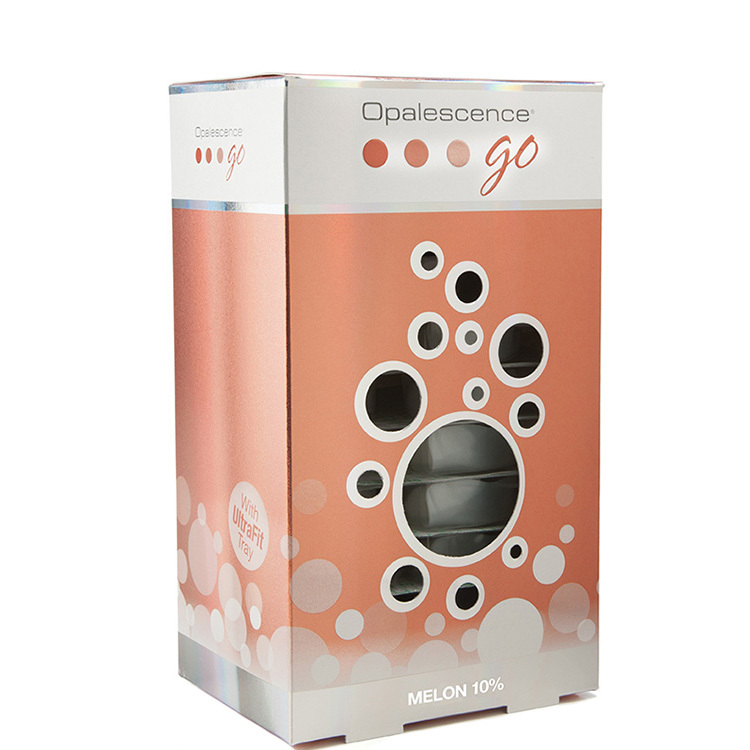 bh says: If you hate the taste of teeth-whitening treatments, Opalescence Go Melon 10% could be your new go-to. The melon flavour is completely inoffensive (trust me, I’ve tried it), but that’s not all: The whitening formula also contains potassium nitrate and fluoride to improve the overall health of your teeth. 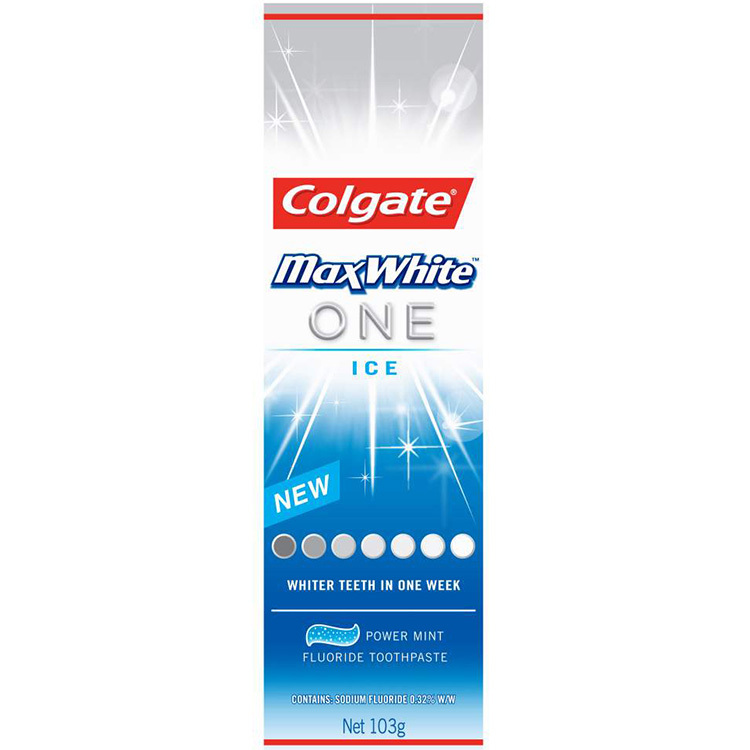 bh says: Colgate MaxWhite ONE Ice is a whitening treatment that aims to improve the whiteness of your teeth in one week. The fresh formula contains whitening accelerators that work to remove surface stains, for a brighter, whiter smile. 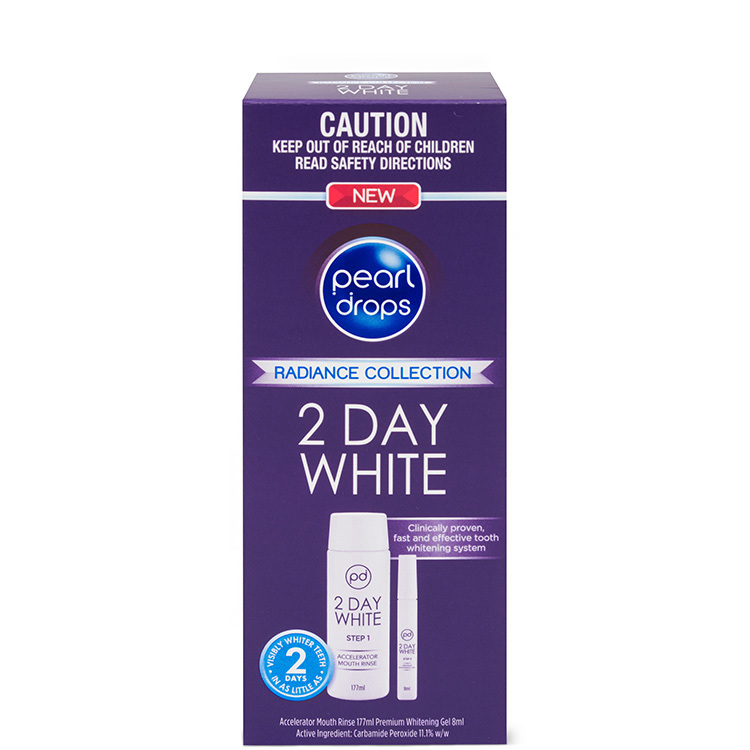 bh says: A speedy two-step teeth-whitening system, Pearl Drops 2 Day White is formulated to deliver visible results in as little as two days. Safe for enamel and sensitive teeth, it’s also suitable for use on dental restorations such as crowns, caps and veneers. 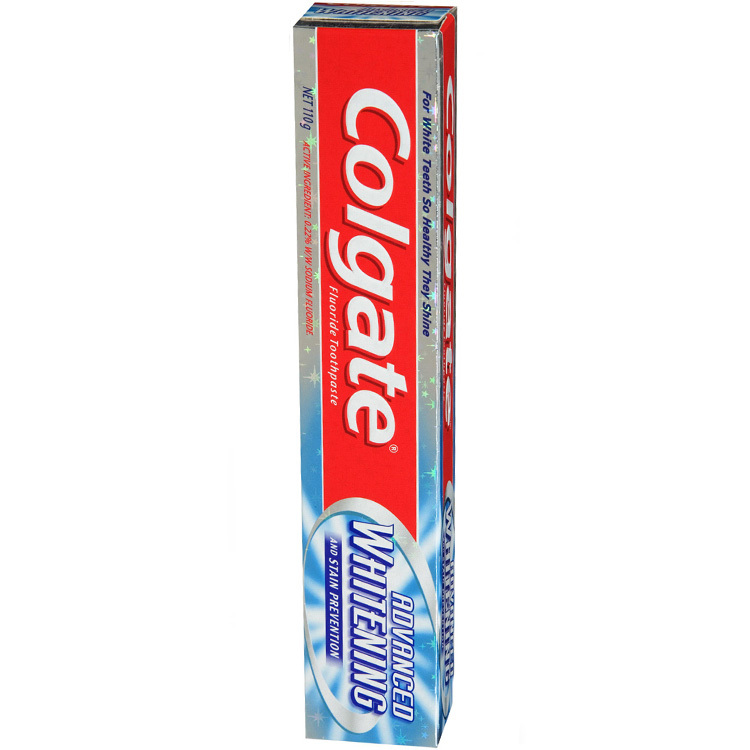 bh says: Colgate Advanced Whitening Toothpaste is an oldie but a goodie (especially for beauties on a budget!). The formula contains microcrystals to gently polish teeth and help remove stains. It also fights plaque and cavities to promote healthy gums, as well as a stain-free smile! 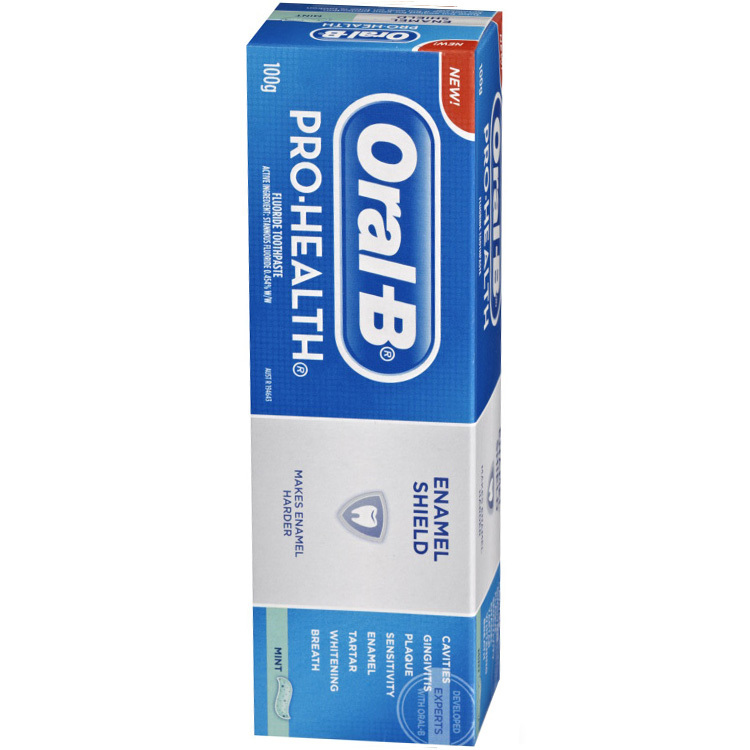 bh says: Oral-B Pro-Health toothpaste is formulated to provide both oral health and whitening benefits. It contains stannous fluoride and sodium polymetaphosphate to help whiten teeth, as well as promote healthy gums, fresh breath, and reduced teeth sensitivity. bh says: A solid formula that minimises the need for packaging and preservatives, Lush Dirty Toothy Tabs can be crushed in your mouth, before brushing as normal with your toothbrush. The tabs contain cream of tartar to whiten teeth, as well as help freshen bad breath. *At the time of writing. Have you used any of these teeth-whitening toothpastes and treatments? Do you have any other recommendations? Going to start using one of these products. My teeth needs some love. I'm currently using Pearl Drops Specialist White Charcoal Innovation which I really like. I’ve used the toothy tabs - though I don’t think they’re making the ‘dirty’ ones anymore. Not really whitening but interesting to use - take a bit of getting used to. Actually the Lush one looks so interesting!! No. 2 & 4 have got me I'll keep a look out for these. Pretty sure you can get no.2 at any dentist where you live. I really want to try some of these!! But I'm so nervous that it will go wrong! Yes!!!! The Colgate optic whitening pen actually works so well!!!!! It is amazing actually ! I use it now once every couple of weeks! People have actually commented on my teeth being white! Cheap too! This is great to hear, I've been so nervous to buy and try. I have been looking at new whiting options and here are some great ones. The Oral B and Colgate are ones I have used in the past. The Lush Dirty Toothy tabs are a great and less packaging option - so happy there are a variety of products. Using an electric toothbrush does also really help with the whiting process. I had no idea Lush makes it too, I will check it out!! I use the Oral B Pro Health and have previously used the Colgate Optic White. How were they?? I'm not sure which one to get. I've been using Oral B Pro Health since I got a trial of it before it even came on the market. It was fabulous but I did have to wait 1 1/2 years before it hit the shelves. Have been using it since it hit the shelves. I love the whitening strips and use Sensodyne Whitening Toothpaste for everyday and it's also great for my sensitive teeth. I've also tried the whitening pen that Aldi sometimes stocks and it also works quite well. This is great to know! I need to check it out. My dentist said to never whiten my teeth because they will be really sensitive so it's just not worth doing. I wonder why that is! Is it because it breaks down the teeth's layer? I love whitening toothpastes! And Opalescence has been working well on my teeth! Opalsecnse is a professional system but you can get it from ebay!! I haven't since I've got sensitive teeth. I do use Sensodyne's Repair & Protect + Whitening & it seems to work ok for me in keeping my teeth just a little whiter. Makes me think I really should do something about my not so pearly whites. It gives you so much more confidence!!! Oh! I bet! That's what I am looking for. The advanced seal white strips are the best! I've been considering the oral B strips for a few weeks before my wedding just to give a bit of brightness to my teeth. I love Oral-B Pro-Health. It keeps my teeth white. Opalescence was fantastic and I can recommend it. I've tried a few of these and they didn't really work for me. I have used the Oral B 3D whitening strips combined with the toothpaste which gives great results to my teeth. 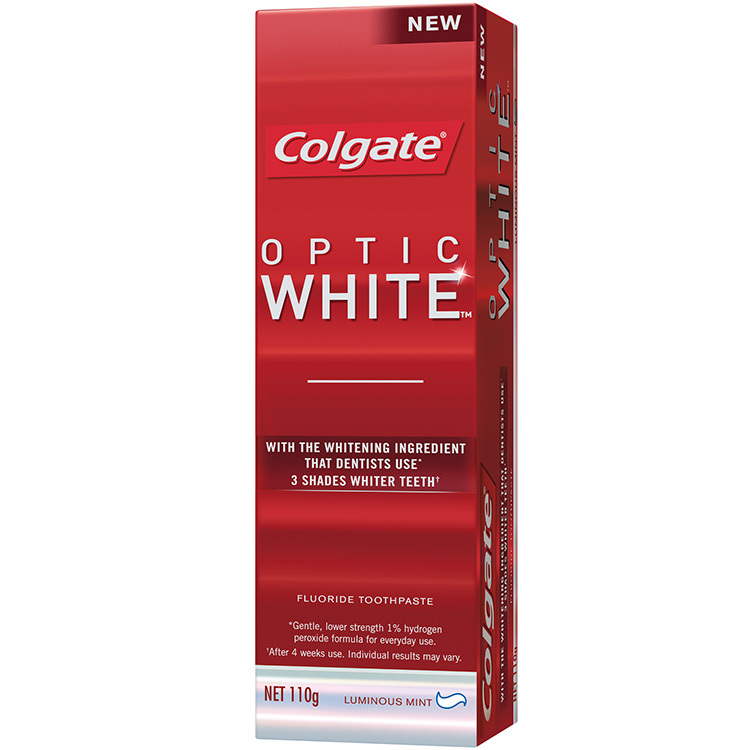 I'm currently using the Colgate Optic whitening toothpaste to achieve whiter and brighter teeth. Have used a few of these toothpastes and treatments. My favourite is Oral B Pro Health. It gives such a refreshing clean! I've used Optic White and found it quite good - I didn't know that Lush had a product for teeth - I'll have to look into that one. It makes my gums feel sensitive. The toothy tabs sound interesting. I've used some whiting toothpastes and some were a bit too harsh on my sensitive teeth. I prefer natural alternatives such as bicarb or oil pulling. I really want to try the toothy tabs!! They look so interesting and different. Wonder how they taste. 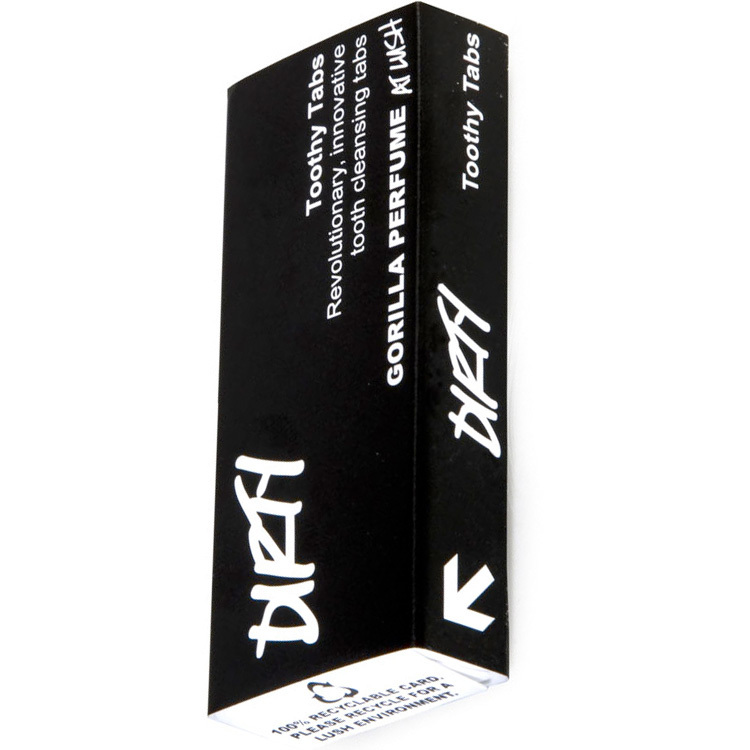 Wish I lived near a Lush store they make so many interesting products! Lush Tabs look cool and interesting.